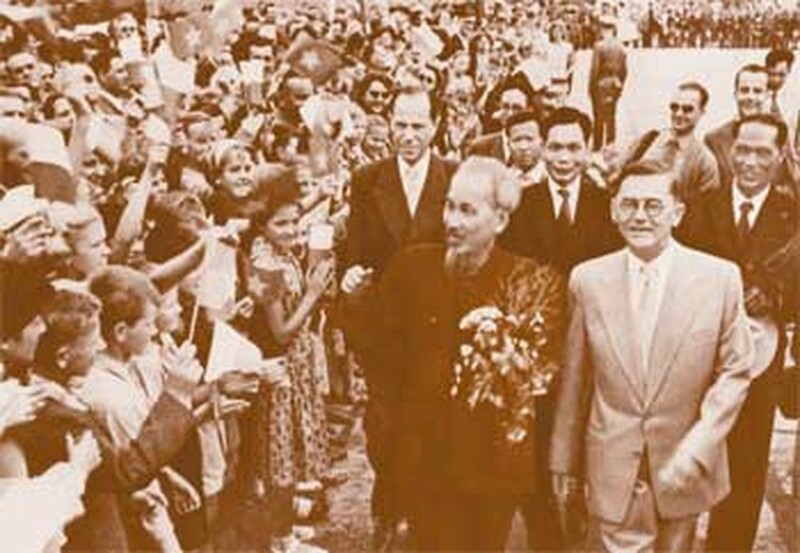 “Ho Chi Minh is a brilliant symbol of friendship among nations, since he greatly contributed to national liberation movements, world workers’ movements, and the solidarity among peoples for the sake of peace, democracy and social advances,” said Say Chum, head of the Standing Committee of the Cambodian People’s Party's Central Committee. He made the comment to delegates of the international seminar tilted “Ho Chi Minh’s heritage in the current era,” which concluded its discussions May 13 in Hanoi. “Based on that spirit of solidarity, he was successful in establishing the Communist Party of Vietnam in 1930, in order to liberate not only his own nation, but Vietnam’s neighboring states as well, Laos and Cambodia, in their mutual fight against the French colonialists,” explained Mr. Chum. Former chairman of the “Association of Friends of Vietnam,” Professor Ignacio Gonzalez Jannen, a political activist and journalist, said he considered late President Ho Chi Minh to be one of his master teacher on par with the master teachers revered in his native Mexico, Simon Bolivar and Jose Marti. Ho Chi Minh’s leadership in Vietnam provided the ultimate example for Latin American countries to follow, in their quests for national liberation, Professor Jannen concluded. The current Vietnamese era of economic openness is consistent with the philosophies of the great socialist revolutionary Ho Chi Minh. “It was the late leader who laid a foundation for the country’s policy on economic openness and widened cooperation with the international community in various fields,” Le Huu Nghia, director of the Ho Chi Minh National Politics and Public Administration Academy, explained. When the Democratic Republic of Vietnam was established in 1945, the leader announced that Vietnam would be willing to engage in every international economic institution that adhered to guidelines laid out by the United Nations, Mr. Nghia said. “It was his ideology of international cooperation that formed the basis for today’s Party and State strategies regarding world economic integration and international cooperation,” he said. French engineer Raymond Aubrac (R) and others delegates who attended the seminar “Ho Chi Minh’s heritage in the current era,” which concluded in Hanoi yesterday. 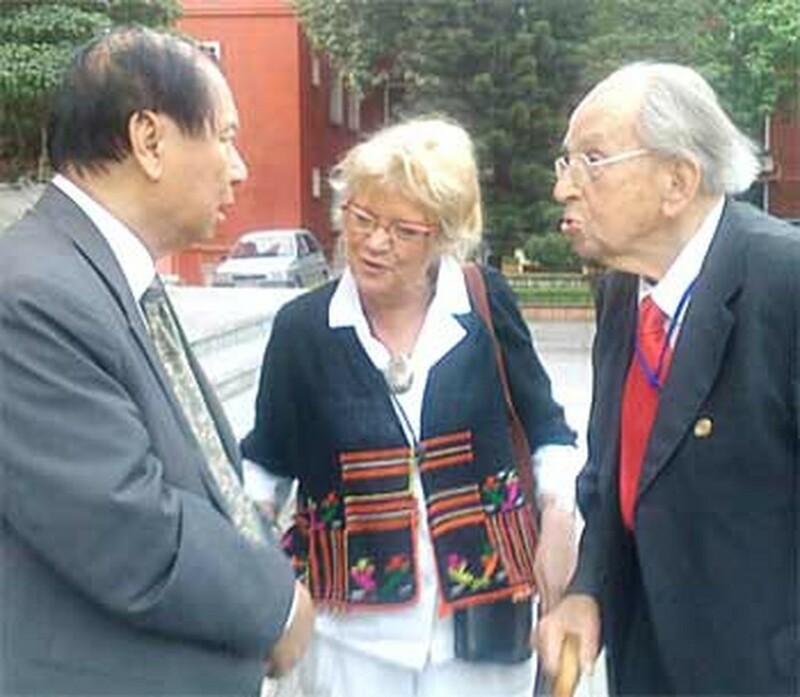 After an exhibition on Ho Chi Minh was held in May 2006 in Pavillon, France, Ms. Miscault said she discovered how a nationalist revolutionary like Ho Chi Minh became an international icon. She and her colleagues later organized more exhibitions dedicated to Ho Chi Minh. Presently, they are working on a documentary film titled “Ho Chi Minh and France”, due to debut in French theaters this October. French delegate Raymond Aubrac recalled the days Ho Chi Minh stayed at his home in Soisy-sous-Montmorency near Paris in summer 1946, when the Fontainebleau Conference was taking place. He remembered Ho Chi Minh as a simple and humble politician, who understood the different cultures of the world. In talks with the public or press in France, Ho Chi Minh confirmed that he never aimed to dishonor or defame his enemies but always sought solutions that would allow his enemies to withdraw from his homeland without losing face. It was the political style and moral integrity of Ho Chi Minh that eventually earned the respect of his former enemies, France and America, where the life of Ho Chi Minh as been commemorated, according to Mr. Aubrac.